These exquisite handmade pierced earrings in 18K yellow gold are set with large black Tahitian pearls capped with matte gold leaves with high polish accents. 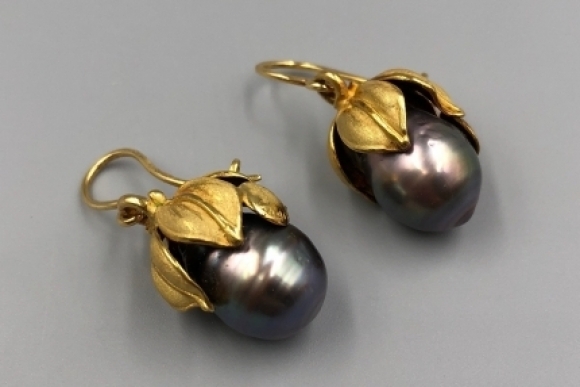 The earrings were designed by Annamaria Cammilli for her Oro in Fiore collection. 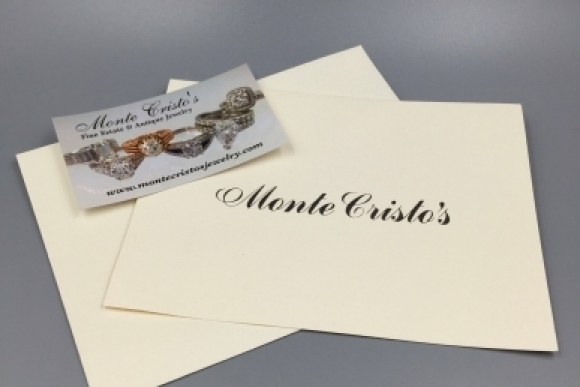 The earrings are signed and come with their original Annamaria Cammilli packaging as well as a certificate of authenticity. 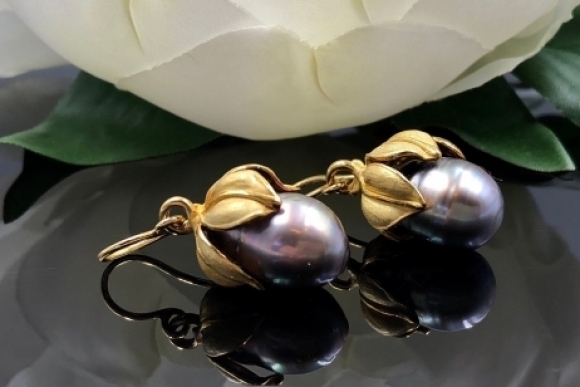 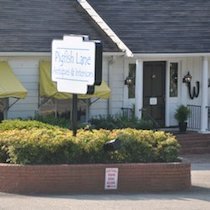 Pearl is the traditional gift for the 30th anniversary, and is the birthstone for June. 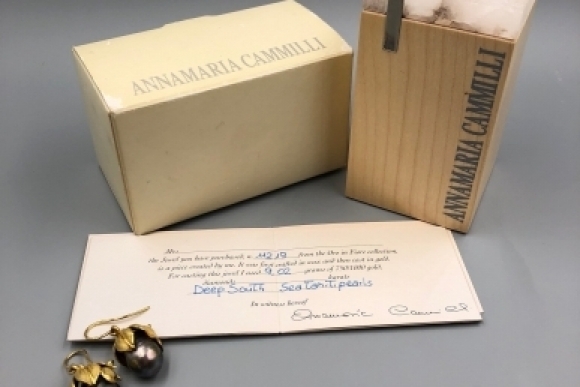 Annamaria Cammilli of Florence Italy was founded in 1983. 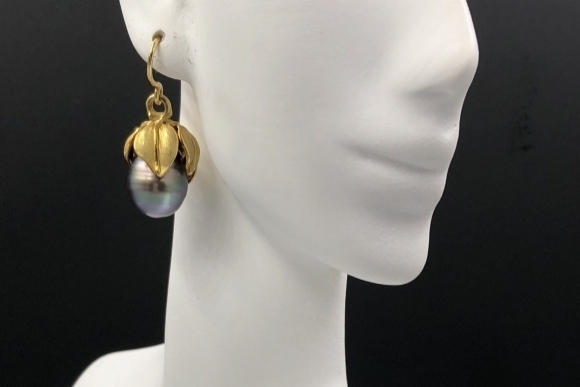 Cammilli jewelry is known for its exquisite designs and its signature "shine and matte" finish creating gold pieces with silky matte texture highlighted by high polished edges and details. 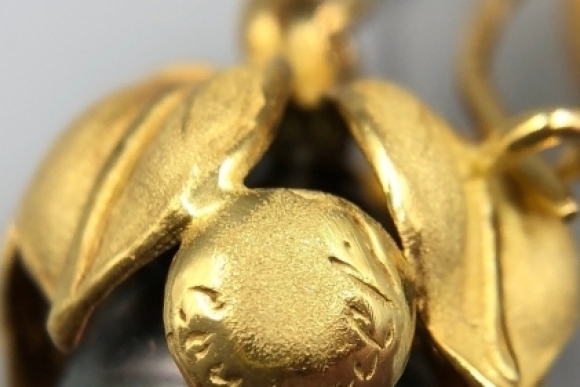 Cammilli's designs are carved in wax by her, cast in gold, and hand finished. 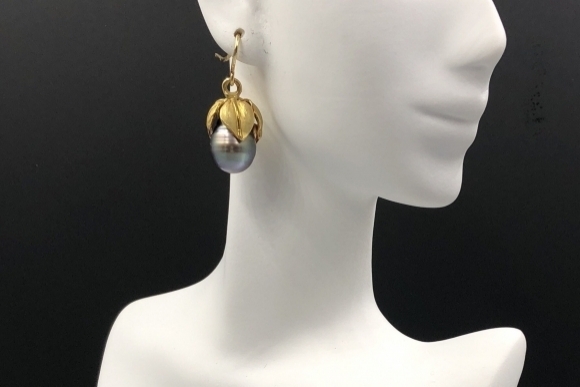 The earrings measure 1 3/8" by 1/2". 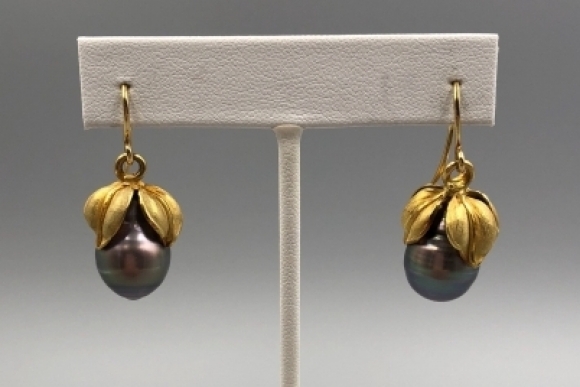 The pearls measure approximately 17.5mm x 12mm. 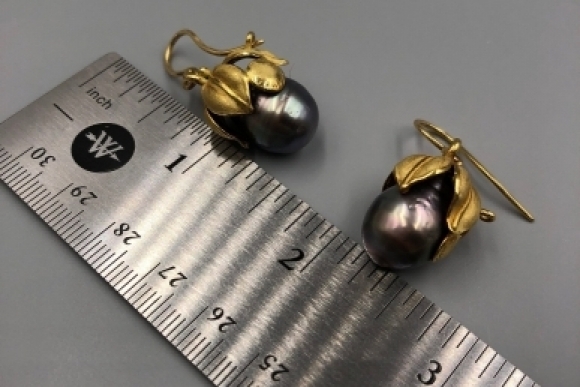 They weigh 15.5 grams, and have 9.02 grams of 18K gold.